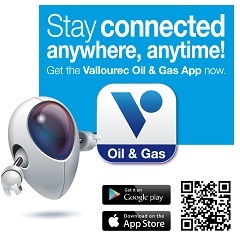 In the current environment, the just in time (JIT) delivery performance from Vallourec and VAM USA is a key performance for onshore batch drilling applications that require lean supply chain model for efficient and cost effective operations. VAM USA Miller Road, Houston, TX night-shift team completed more than 300 good joints in their 12hrs shift with a 99.7% first-time yield. It allowed VAM USA and Vallourec Star to complete this 1138 pieces Finished Goods order earlier than the committed delivery date to the customer. This order was delivered on time to one of Vallourec key partner and distributor Premier Pipe. Those Finished Goods with DWC/C™-IS joints will be used onshore for a production casing application. The connection provides an increased torque capacity plus a high bending and fatigue capability. Its internal and external pressure on the connection equal to API pipe body ratings. The internal shoulder prevents the coupling rotation at the rig site, especially when utilizing CRT for make-up. This improvement results from the continuous technical enhancements (final quality control, process capability studies and cycle time reduction) of VAM USA production assets. 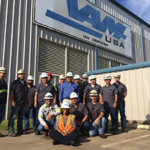 Beyond those technical aspects, it is far and foremost the fruit of a team committed to continuously improve VAM USA operational efficiency, quality and customer delivery. The previous record was set in August 2016 by Miller Rd Line 11 day-shift crew by producing 268 good joints in their shift.